Nurhan Arman returns to us after a four-concert tour in Italy last summer with Orchestra I Pomeriggi Musicali. His upcoming engagements include Kammerorchester Arpeggione (Austria), San Remo Philharmonic (Italy), Orquesta Sinfonica Do Teatro Nacional Claudio Santoro (Brazil) and a ten-concert tour in China. Maestro Arman has brought capacity crowds to their feet on four continents. He has appeared in France, Germany, Austria, Italy, Belgium, Spain, Hungary, Portugal, Russia, Ukraine, Poland, Romania, the Czech Republic, Slovakia, Slovenia, Montenegro, Lithuania, Turkey, Armenia, South Korea, Mexico, Brazil and throughout the United States and Canada. Nurhan Arman is currently the Music Director of Canada's Sinfonia Toronto. In 1982 Nurhan Arman moved to Canada to accept the post of Music Director of the North Bay Symphony and the Northern Music Festival. In 1987 he was named Music Director of Symphony New Brunswick which he swiftly built into a major regional resource. In March of 1993 Maestro Arman was appointed Principal Guest Conductor of the Yerevan Symphony in Armenia. 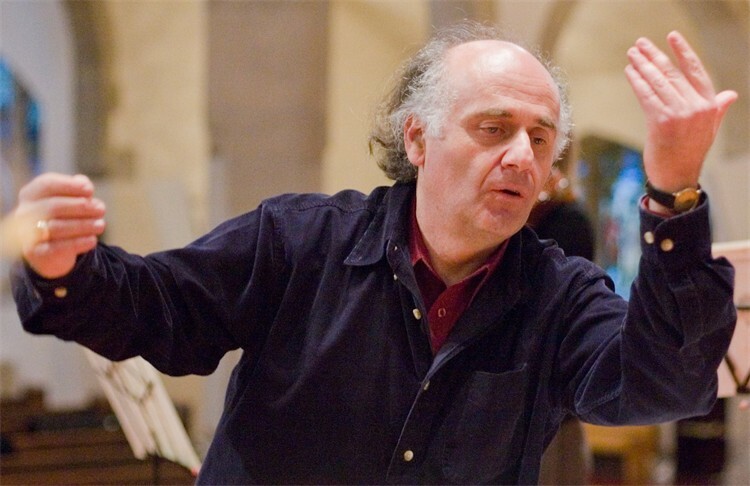 In 1998 Maestro Arman founded Sinfonia Toronto, now considered one of Canada's finest chamber orchestras. 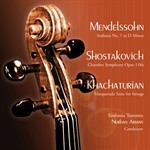 Among many orchestras conducted by Nurhan Arman are the Moscow Philharmonic, Belgrade Philharmonic, Orchestra Sinfonica di Roma, Orchestra Filarmonica di Sanremo, Orchester der Nordharzer, Filarmonica Brasov Kharkov Philharmonic, Filarmonica Italiana, Vojvodina Symphony, Sergipe Philharmonic, Deutsches Kammerorchester Frankfurt, Bellas Artes Chamber Orchestra of Mexico City, Florence Chamber Orchestra, State Hermitage Orchestra St. Petersburg Camerata, Nordbohmische Philharmonie l’Orchestra da Camera Milano Classica, Orchestra Sinfonica Siciliana, Orchestra Sinfonica Giacchino Rossini, Orchestra Sinfonico di Lecce, Orchestra Extremadura (Spain), State Philharmonic of Mexico, Orchestra del Teatro Olimpico (Italy), Lisbon Metropolitan Orchestra, Hungarian Philharmonic, Lithuanian Philharmonic, Volgograd Symphony, l'Orchestre Regional d'Ile de France, Bratislava Symphony, Bohemian Festival Orchestra, Pilsen Radio Symphony, Silesian State Philharmonic, Denver Chamber Orchestra, Armenian Philharmonic, Bucharest Philharmonic, Brasov Philharmonic, Filarmonica Moldova, Filarmonica Sibiu, Slovak (Kosice) Philharmonic, Radomska Orkiestra Kameralna (Poland), Orquesta da Camaro Amazonas of Brazil Deutsches Kammerorchester on tour at the Ljubljana Summer Music Festival, Karlsbad Symphony, Rivne Chamber Orchestra, Orchestra Sinfonica di Milano, Grand Orchestre de l'Harmonie (Belgium), Pusan Symphony, National Arts Centre Orchestra, Kitchener-Waterloo Symphony, Orchestra London, Saskatoon Symphony and many others. Among the major artists with whom Nurhan Arman has collaborated are André Laplante, Alexander Ghindin, Maria Kliegel, Measha Bruegergosman, Anton Kuerti, Janina Fialkowska, Corey Cerovsek, Lara St. John, Rivka Golani, Yuli Turovsky, Andrea Bacchetti, Aline Kutan and many others. Nurhan Arman’s engagements during the 2016-2017 season included Witold Lutoslawski Chamber Philharmonic (Poland), Kammerorchester Arpeggione (Austria), Orchester der Nordharzer (Germany), Orquestra Clássica da Madeira (Portugal), Orchestra Pomeriggi Musicali (Italy) Sinfonia Toronto and others. In 2017-18 Maestro Arman continues with Sinfonia Toronto in Canada and in April 2018 he leads the orchestra's South American tour. In June he returns to Orchestra Pomeriggi Musicali for concerts in Milan and in the Lombardia region of Italy.